Alice in Numberland by Sara Mark and Neil Kagan (Editors). Published by Time Life Education (May 1993). A collection of original stories, poems, riddles, games, and hands-on activities reflecting Alice’s adventures in Numberland, where she finds mathematical challenges throughout the magical landscape. She visits Fraction Common, Castle Math-a-lot, Symbolville, Mirror Land, Shape City and Tens Place. Looks really fun! Cover illustration by Trina Mahon. My copy has a biro dedication on first page, and also a bookcrossing label inside as it was a gift from a bookcrossing friend. Thanks, Esther! 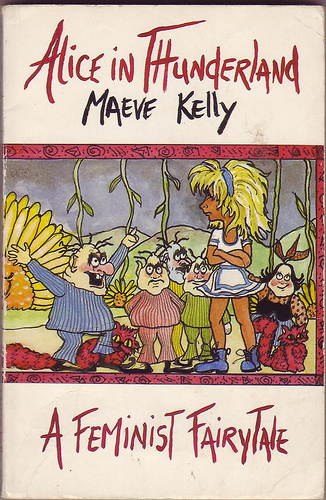 I do love the front cover with the Alice in DMs. Good choice for tromping about in an alternative world, I reckon. 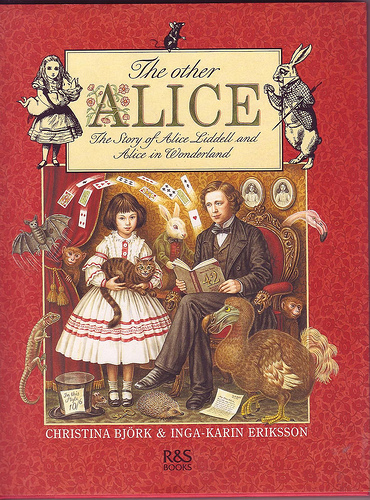 The Other Alice: The Story of Alice Liddell and Alice in Wonderland by Christina Bjork, translated by Joan Sandlin. Published by R & S Books, 1993. 4to. 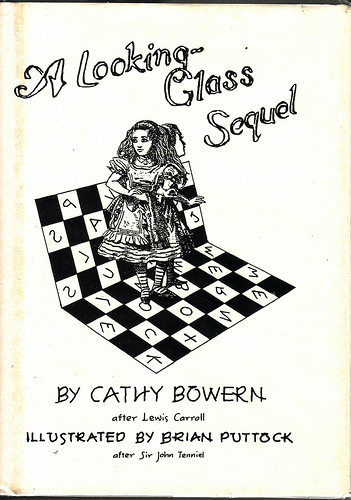 First edition hardback with dustjacket. A children’s version of the story of how Alice in Wonderland came to be told, with really rather lovely illustrations and diversions. Includes: instructions for throwing a mad tea party, Antipodes Croquet, Ellen Terry. Rhoda, Queen Victoria, Reginald Hargreaves, Miss Prickett, and Dinah.